America’s national parks and historic sites offer a great way to get the most for your vacation dollar. Imagine having access to amazing scenery, unlimited recreational opportunities, and first-class amenities, all for very reasonable fees. You’ll enjoy these benefits and more when you visit some of the great national parklands along the Outer Banks. In this post we’d like to focus on the enticing possibilities offered by four sites near the North Carolina shore. Whether you visit one or all of them, you’ll return home with plenty of great memories of your coastal adventure. This expansive wildlife refuge stretches more than 70 miles, from Bodie Island to Ocracoke Island. Along its expansive shores you’ll find a variety of natural habitats, charming seaside villages, and fascinating historical landmarks. Cape Hatteras National Seashore has three visitors centers. The northernmost facility is located on Bodie Island, right next to the famous Bodie Island lighthouse. Follow the shore southward and you’ll discover the Hatteras Island visitor center nestled in historic Buxton, North Carolina. Here you’ll also find the Museum of the Sea, which features compelling information about the many shipwrecks that have occurred along the Outer Banks over the past 200 years. The third visitor center is on Ocracoke Island close to the Ocracoke lighthouse. All of the facilities include gift shops, bookstores, and special informative programs led by rangers. Cape Hatteras National Seashore includes a 28 mile stretch of beach open to off-road vehicles (ORV), either year-around or on a seasonal basis. ORV access may vary from time to time based on weather and other local conditions. 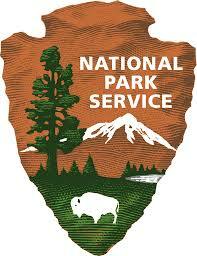 Check with park officials prior to your trip for the latest updates. To find out more, or to get contact information or directions, visit the seashore’s official web site. Mystery and lore has surrounded the site of the original Roanoke colony for centuries. Founded in 1554 by Sir Walter Raleigh, the inhabitants vanished without a trace sometime between 1587 and 1590. Their fate remains an enigma to this day, but you can explore the grounds yourself during your Outer Banks adventure. Who knows? Maybe you’ll find the clue that solves the puzzle once and for all! This national historic site is about three miles from the pleasant hamlet of Manteo. It includes a visitor center and museum with fascinating exhibits that detail what we know about the colony and the people who lived there. It also traces events that shaped the area’s history and culture, including its use during the Civil War as a refuge for freed slaves. The local historical association presents a play about the long-lost colony every summer on multiple nights throughout the season. The world-celebrated Elizabethan Gardens are close by as well. Managed by the Garden Club of North Carolina, this lush natural paradise encompasses 10 acres. It offers jaw-dropping examples of thousands of beautiful flowering trees and bushes, along with paved paths, comfy benches, and astounding works of art. To find out more about the Fort Raleigh Historic Site, including directions, visit the official web page. In 1903 brothers Wilbur and Orville Wright changed the course of world history when they achieved the first successful, sustained, heavier-than-air powered flight along the shoreline near Kill Devil Hills. Today you can visit the spot where they launched their airplane and relive the glory and wonder of aviation’s early years. The site includes a replica of the Wright Brothers aircraft hangar, an impressive 60 foot high granite monument to their achievement, an aviation museum, and a life-size replica of their aircraft. The area also offers abundant opportunities for hiking, picture taking, and waterborne recreation. You can find directions to the memorial and other information at the official web site. What could be better after a fun-filled day of exploring our national parks than having a cozy, comfy, well-appointed place to relax and unwind? Don’t waste you money on hotels or a stranger’s spare bedroom when our premium vacatin properties are so afordable. Browse our site and make your reseravtions today. Learn more about the islands on our blog!